2019-04-16 @ 12: 16am–#Bridgeport CT– A BMW was taken at gunpoint on Yaermich Drive. There is a lot of details I’m intentionally leaving out. 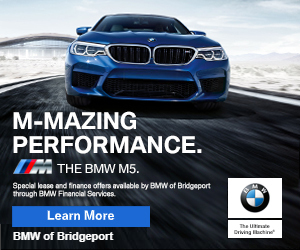 This news report is made possible by: Noticias de Bridgeport: Robo 2019-04-16 @ 12:16am – #Bridgeport CT – Un BMW fue robado a mano de pistola en Yaermich Drive. 2019-04-15–#Bridgeport CT– A work truck parked on Vine Street was broken-into with over $2,500 in tools were taken. This news report is made possible by: Noticias de Bridgeport: Un Robo 2019-04-15 – #Bridgeport CT – Un camión estacionado en la calle Vine fue entrado por fuerza y se robaron más de $2,500 en herramientas. Bridgeport News: Well, They Said It In The Name!